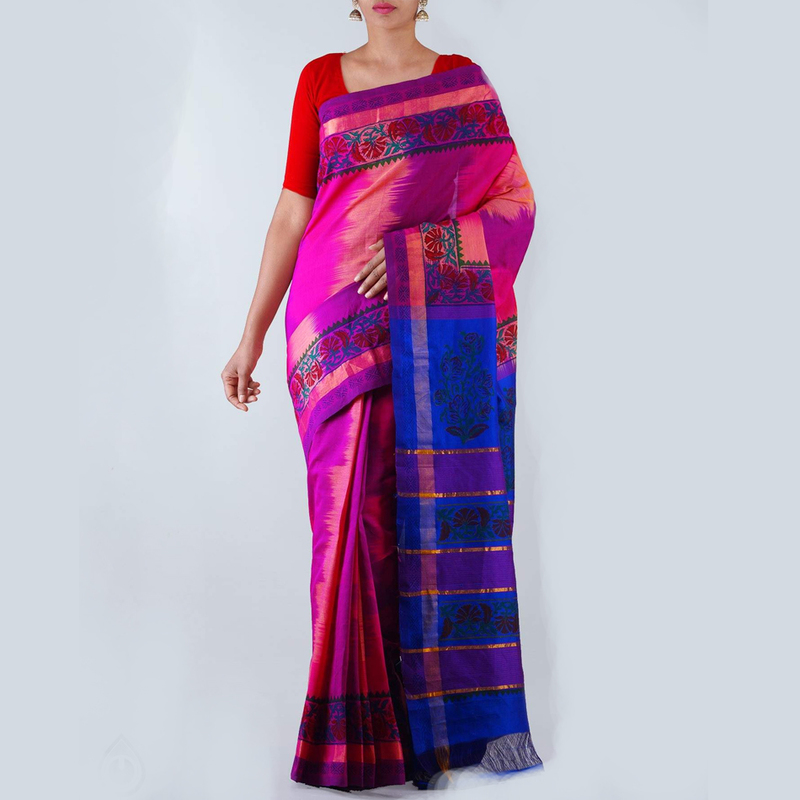 Pochampally Saree or Pochampalli Ikat is a saree made in Bhoodan Pochampally, Yadadri Bhuvanagiri district, Telangana State, India. They have traditional geometric patterns in Ikat style of dyeing. The intricate geometric designs find their way into sarees and dress materials. The Indian government&apos;s official air carrier, Air India, has its cabin crew wear specially designed pochampally silk sarees.